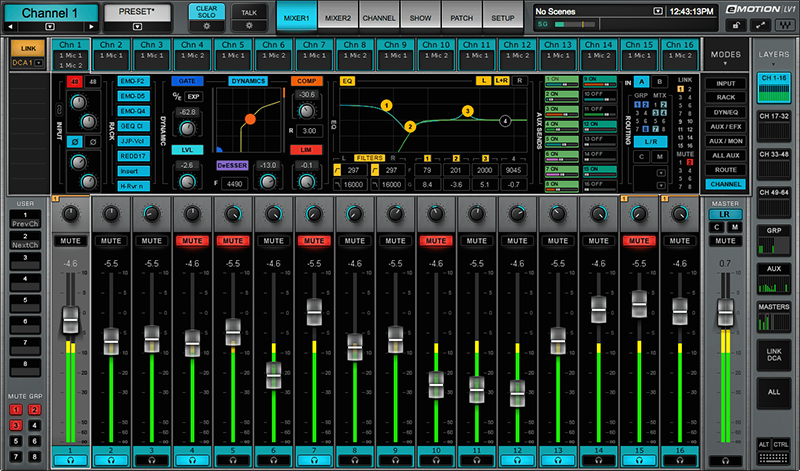 eMotion LV1 is a live software mixer for FOH, monitor and broadcast applications. It has a 32-bit floating-point mix engine and 64 stereo/mono channels, each with a plugin rack capable of running up to eight SoundGrid-compatible plugins. 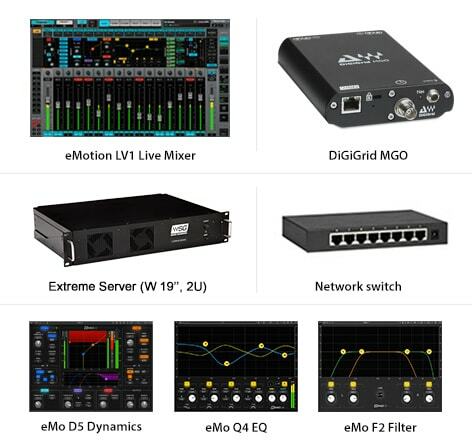 In this combo, all processing is carried out on the Extreme server, letting you run a great number of plugins at extremely low latency. 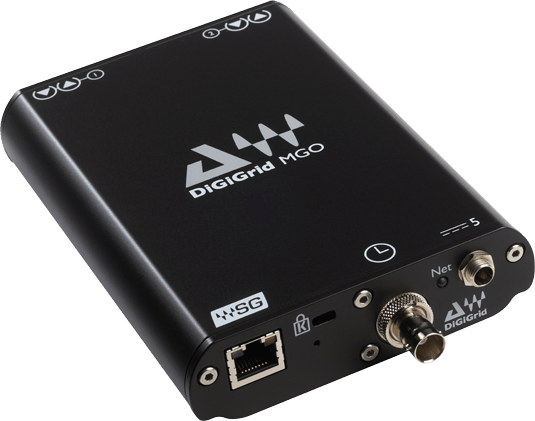 Both the mixer and the server are connected to your MADI stagebox via the compact DiGiGrid MGO interface.